Do you like to spin the reels at awesome slots? Coin Falls Casino offers you the chance to enjoy your hobby with an awesome deal. 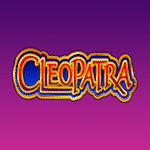 All players from the UK are able to receive up to 100 Spins on Cleopatra. 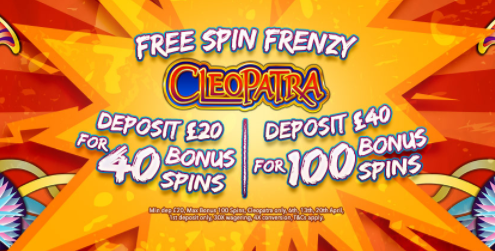 If you deposit between £20 and £39, you can get 40 Spins. If you make a minimum payment of £40 you will be rewarded with 100 Spins. Use all these extra rounds to gamble like you never did before. This promotion runs on 3, 8, 15, 22, and 29 April. Wager the bonus amount 30 times before making any withdrawals. The conversion from the bonus funds is limited to 4 times.